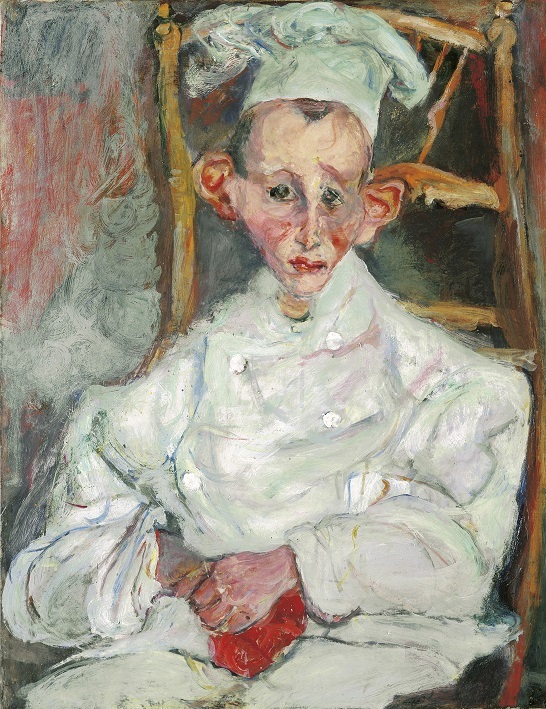 Matthew Collings reviews Soutine’s Portraits: Cooks, Waiters & Bellboys at the Courtauld Gallery, London, on view through January 21, 2018. Collings rites: "What things are and how they are treated, whether a body or a bellboy’s buttons, seem to obey purely abstract laws, as if it’s the paint that wants to do it and not that anything in the world really looked like that. But this emphasis on painterly meaning he believed actually came from tradition. He was just allowing the structured element of a painting, which is always there in the old masters but implicit not explicit, to be a subject in itself... with every structural incident on the canvas he was attempting to create something that hadn’t been seen before, he believed, for which there was no formula — a profound surprise which the old masters too were always after, using their own means. With his modern improvisations he was emulating them."